Jazz Author [July 2018].- Hang on by your fingertips, the ride’s going to be stirring and wild. On his latest CD called “Con Alma & United,” guitarist Ximo Tebar infuses a Mediterranean adobo into much-loved classics like “Take Five” with precise, lightning-fast fingerwork. Tebar sails along with a generous groove on “Poinciana” that features shining vocals and a Latin verve. The dark mystery he lays on his arrangement of “Goodbye Pork Pie Hat” is hot and sultry. On every track, you can feel his smile, his complete joy and an unmatched sweat equity. “Con Alma & United” is breathtaking and energizing. The CD comes out September 2018. Why do you feel guitar above all other instruments captures your essence? I play the guitar by chance: my parents gave me a guitar when I was a child, at seven years old, because they wanted me to stop eating my nails. The moment you were first struck by jazz? I started studying flamenco guitar and my idol was, and still is, Paco de Lucia, but when I was fourteen I first heard the music of George Benson, Grover Washington Jr., The Crusaders, Spyro Gyra…that music captivated me. Later I discovered the music I liked came from jazz, and from there I started listening to Wes Montgomery, Parker, Sonny Stitt, Joe Pass, Miles, Ellington, Porter, Basie, Mingus, Coltrane, etc. The biggest challenge and joy in being a jazz musician today? Being able to get a sound of your own and to live off music. It is very active. Valencia (Spain) has a cultural tradition linked to music. There are 547 musical societies with more than 40,000 musicians and 60,000 music students. I guess that’s why Berklee School of Music decided to settle in Valencia. But in Spain we have a serious problem regarding the educational and formative field of music education. It is absurd and intolerable what is happening in Spain in music education because the needs are not being addressed. The training of future generations of musicians and music teachers here is being seriously harmed. Jazz is more alive than ever. Socially it is integrated in all areas of current life, the music of movies, popular and traditional music, television, radio, advertising, even video games. I have been the Minister of the Consell Valencia de Cultura and I have worked intensely doing very well-documented reports to normalize and update the music education system in Spain institutionally, recommending the attention that jazz deserves. The music education system in the United States is much more effective, useful and practical, and corresponds to current times. We are in the 21st century. In Spain we should copy some aspects of the American educational and training system. Your favorite local clubs and why? Any jazz club in the world is endearing, but I especially like to play in New York, in Birdland, Dizzy’s and Smalls. The audiences and energy of New York jazz are very special. Where would you most like to tour? Any city in the world is perfect for playing jazz. In our concerts I have observed that the sound of our Mediterranean jazz surprises and raises awareness by the colorful sonority characteristic of our happy, close and communicative culture, and by the energy and interpretive force. 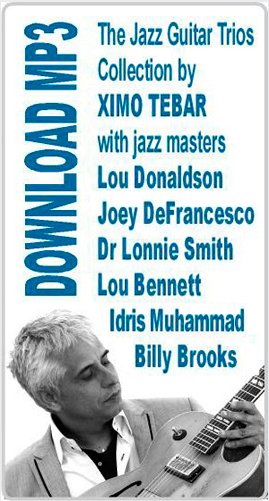 How did you gather these particular musicians for the CD? They are the musicians with whom I have worked for many years. For me, an album is like a celebration, a family photo with the people who have accompanied you during that period of time and who have contributed their talent and involvement in the project through tours and coexistence. You seem to really enjoy performing- smiling during your gigs. Have you always taken to it easily? The stage is the meeting place to share among friends and enjoy making music. The stage is the place where I feel better, safe, calm and happy. More than thinking, I feel what my teammates contribute. Together we create an intense and extensive musical conversation. Jazz is a language of communication and interaction. If you had to name your top favorite jazz artists of all time…? The two artists that for me represent the essence of jazz at all levels: Louis Armstrong and Dizzy Gillespie. How do you make the mental switch from leader to performer? Jazz is a language that allows you to communicate and converse through music. In any concert, all the musicians of the group become a leader or companion throughout the performance. Where does jazz hit you? In the heart and soul. What do get asked most by audiences? They want to be surprised when they attend a concert. I believe that we please those who attend our concerts because we offer a different sound and we also transmit a happy and luminous musical message. What is the biggest change over the years in jazz as an art form? I think jazz has been elitized and lost a bit of its essence of closeness and interaction with the public. When will your new CD “Con Alma & United” be released? “Con Alma” and “United” are two titles of two compositions; the first by Dizzy Gillespie and the second by Wayne Shorter. The album comes out in September 2018 with Warner and in the USA with Sunnyside Records. 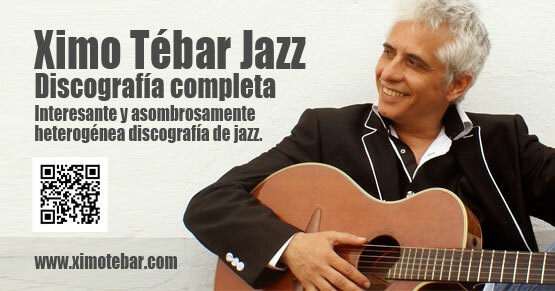 The title of the disc refers to three messages: the first is the tribute to the great musicians and composers of jazz, the second to the music played with the soul and with musicians playing together in group (united), and the third is a nod to the fusion of cultures that I represent, since it mixes two languages, Spanish and English. I am Spanish and I make my music with the philosophy of Afro-American music, that is, jazz and blues. Talk about the album cover designed by visual artist Rebeca Plana. Rebeca Plana is a great Spanish visual artist of abstract art who captivated me with her art and personality. She is a very committed woman, and her life force is reflected in her paintings, intertwining long, energetic, thick and dense strokes that emit passion and love. This is exactly how I feel and commit myself to music; with passion, strength and love, converting something abstract, such as sounds, into music and rhythm. How much fun was it to re-imagine and change things up on “Take Five”? “Take Five” is possibly the most popular jazz theme. I decided to record it on the new album following the death of the great Al Jarreau. My version of “Take Five” pays tribute to Jarreau and also to George Benson, one of the guitarists who has most influenced me. I tried to present a different version of this song than the others I’ve heard, which are many, and I think I’ve achieved it. I’m happy because our version captures the sonority of my open and colorful personal style, and my way of understanding music in terms of dynamics and compositional development incorporating sound elements of my Mediterranean tradition. I have done the same in the rest of the songs that complete the album: “Caravan” (Ellington), “Goodbye Pork Pie Hat” (Mingus), “Poinciana” (Nat Simon), “Bemsha Swing” (Monk), “Con Alma” (Gillespie), “United” (Shorter), and even the adagio of the Concierto de Aranjuez, the famous masterpiece by the Valencian composer Joaquín Rodrigo, a piece that I also claim as a jazz standard which has also been performed and recorded by jazz masters such as Miles Davis, Chick Corea and Jim Hall. Which track was the easiest to record? Any piece is easy and difficult; perhaps I would say “Bemsha Swing” (Thelonious Monk). It is the last track of the album where, in a relaxed and cheerful way, we close the session to the rhythm of blues. Which track was the hardest? Maybe “Con Alma” by Gillespie. The rhythmic treatment is elaborate and amalgamated. Mix rhythmic patterns of flamenco bulería with patterns in 5/4. My challenge was to make it sound easy, natural and fluid, despite the rhythmic complexity. I think I have achieved it thanks to the contribution of my colleagues who have been involved in this interpretation with their masterful interpretations: Arturo O’Farrill, Ricky Rodriguez, Donald Edwards, David Pastor and Roque Martinez. The recording session of “United” by Wayne Shorter was also very interesting since we played it at the rhythm of a pseudo-buleria. I was looking for a pulse different from traditional flamenco. That’s why I recorded it in New York with musicians from different backgrounds such as Donald Edwards, an extraordinary African-American drummer from New Orleans, Ricky Rodriguez, virtuoso Puerto Rican upright bass player, and the great Spanish flautist Jorge Pardo (Paco de Lucia, Chik Corea ..), that besides being a great jazz player is one of the most influencial creators of the flamenco jazz movement. What do you love about this CD? The top qualities of the other musicians on the album? They are extraordinary people, committed and passionate about life and music. Great real friends and great jazz cats. What is it about the classics and swing that you enjoy so much? They are wonderful compositions written by geniuses of music and imbued with stories of everyday life that anyone recognizes anywhere in the world. The philosophy of jazz life is within those compositions. That’s why they have become standards and part of the essential repertoire that any jazz musician in the world should know and recreate. My challenge when approaching these songs in the new album “Con Alma & United” is to try to contribute a different vision from another cultural tradition such as mine. Love, passion, respect, light, optimism, commitment and freedom.